These 100% Plastic A Plus Playing Cards are Bridge Size with Super Index numbers and pips. 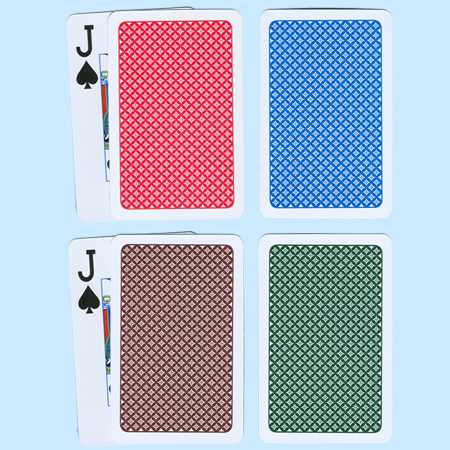 The Playing Card Sets come with one red and one blue deck or one green and one brown deck. Each set of A-Plus Narrow Size Jumbo Index Playing Cards comes nicely packaged in a durable, hunter green cardboard box. A+ Card Sets are available for immediate shipment.